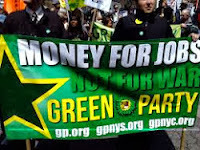 Dr. Jill Stein Announces Formation of Exploratory Committee For 2016 Presidential Bid Declaring "It's Time For A New Society, A New Economy, A New Way Forward." 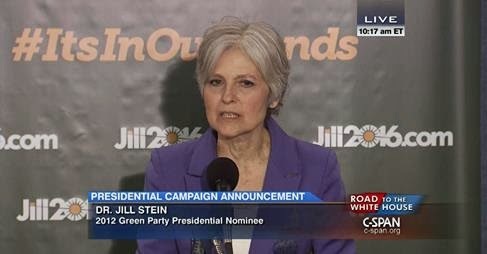 At a Press Conference this morning, Dr. Jill Stein told the assembled media, guests, and a live TV audience tuning into C-Span that she is "testing the waters" and forming an exploratory committee to seek the Green Party nomination for President of the United States. More information about the exploratory committee can be found at Jill2016.com. In her prepared remarks, Stein noted that the "demand for deep change has grown to a fevered pitch. Workers are fighting for living wages and the right to a union. Students are demanding an end to college debt that's crippled a generation. Young people are leading the courageous Black Lives Matter movement to end police militarization and racist violence," she said. "Momentum is growing against abusive high stakes testing that forces poor kids down the deadly school to prison pipeline. The fight is building against predatory mass incarceration. Hard-working immigrants are standing up for a humane path to citizenship, not simply a 3-year deferral of deportation. Frontline and Indigenous communities are leading the resistance to toxic fossil fuels that threaten to disrupt civilization as we know it in our lifetime." 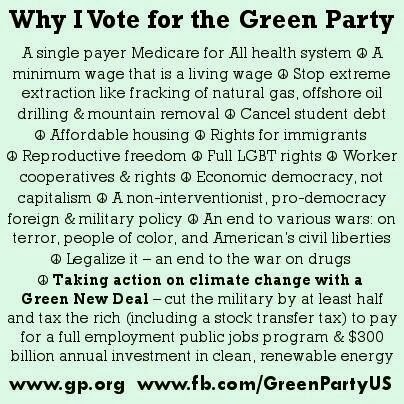 Stein was the Green Party's 2012 candidate for President of the United States. She is an organizer, physician, and pioneering environmental-health advocate. She has helped lead initiatives promoting healthy communities, local green economies and stronger democracy â€“ including campaign finance reform, green jobs, racially-just redistricting, and the cleanup of incinerators, coal plants, and toxic-pesticides. "Jill Stein will be a voice in the electoral arena that will represent all workers and will fight for our right to unionize. As long as the Union movement allies itself with the Democratic Party only, the power of workers in general, and Unions specifically, will continue to decline." "I am glad to see that she has the energy and persistence to consider running for President again in 2016. She has great integrity, a deep understanding of the root causes of the many crises we face and the courage to challenge the system so that we can create a healthier and more sustainable society and planet." Also urging Dr. Stein to run for President in 2016 were Anita Rios, the 2014 Green Party nominee for Governor of Ohio, along with local recording artist Head Roc, know worldwide as the "Mayor of DC Hip Hop." Both Rios and Head Roc spoke at the news conference today; video of their remarks will be available for the press at Jill2016.com by late Friday afternoon. In closing, Dr. Stein told the assembled media and guests, "This is the time to come together. Solutions are in our hands. Justice is in our hands. Democracy is in our hands. 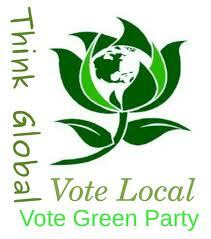 Together we can create a world that works for all of us, and ensure that People, Planet and Peace will prevail. It's in our hands."